The City of Langley is located on Whidbey Island in Washington. 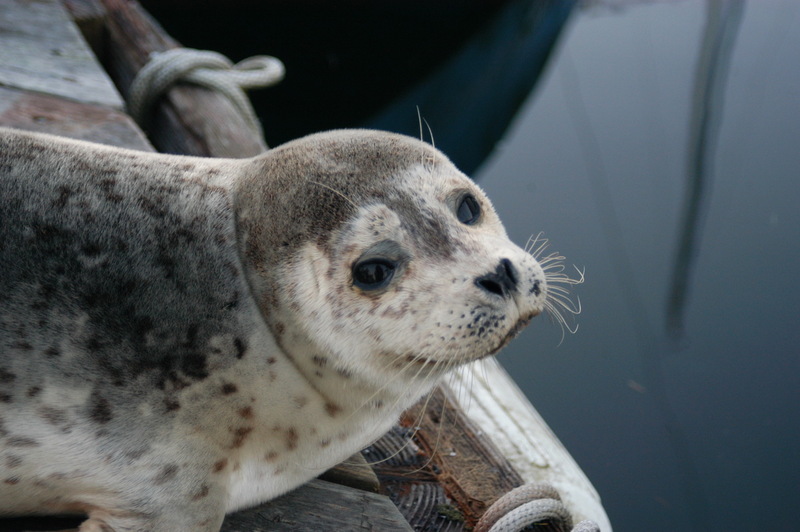 Overlooking Saratoga Passage, the picturesque town offers close-up views of a wide variety of marine mammals. Langley is known for its art, charm, great restaurants and inns, and Whale Bell Park. The Whale Trail site is located at Whale Bell Park. In May 2010, the City of Langley issued a Mayoral Proclamation declaring itself a Whale Trail city. The first one – we hope many more follow Langley’s example! 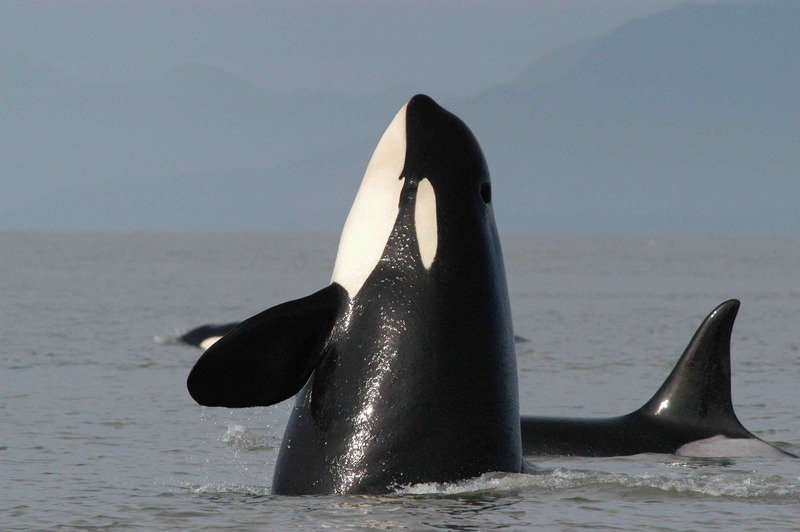 The best places to see marine mammals in Langley are at the overlook on Main Street as you enter the town and at Whale Bell park – or anywhere along the beach! 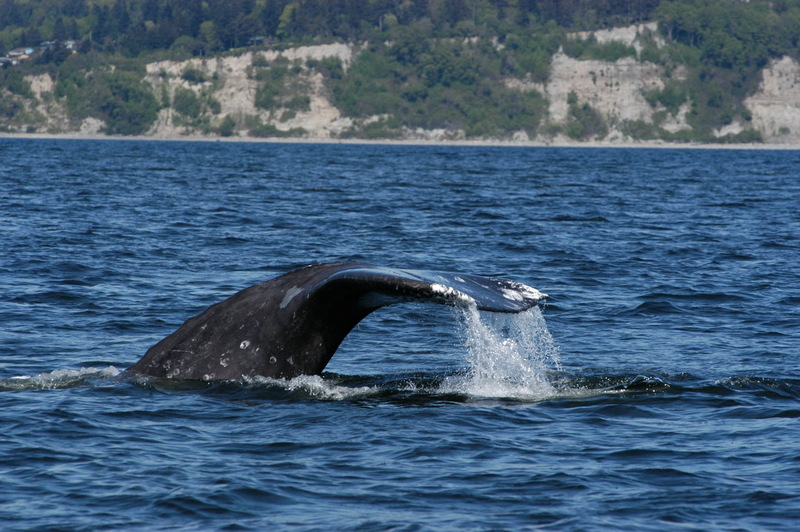 Each spring, a group of up to 20 gray whales return to the waters around Whidbey Island. They sometimes come right up to the seawall at Langley, feeding along bottom of the shore. 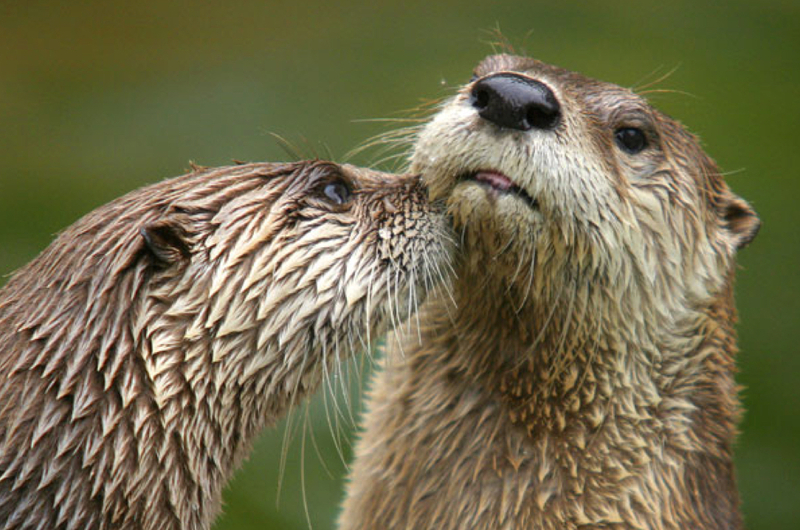 River otters can be seen year round near the marina. 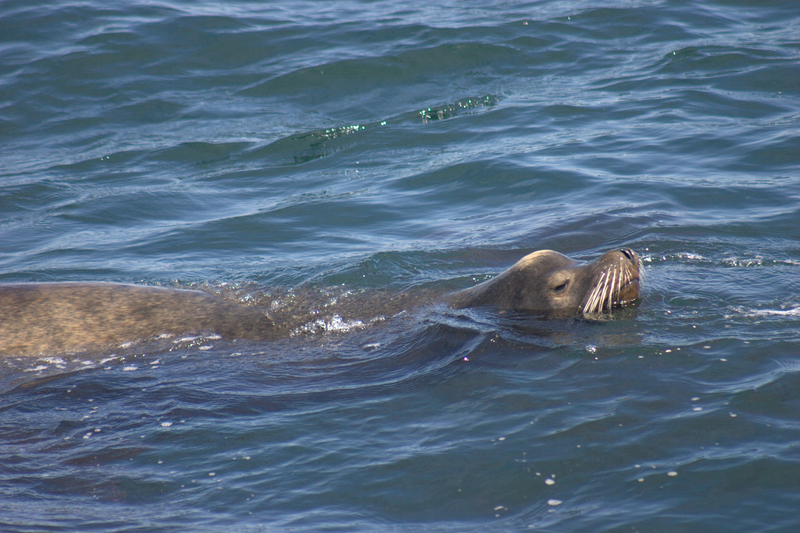 Seals, sea lions are commonly seen. 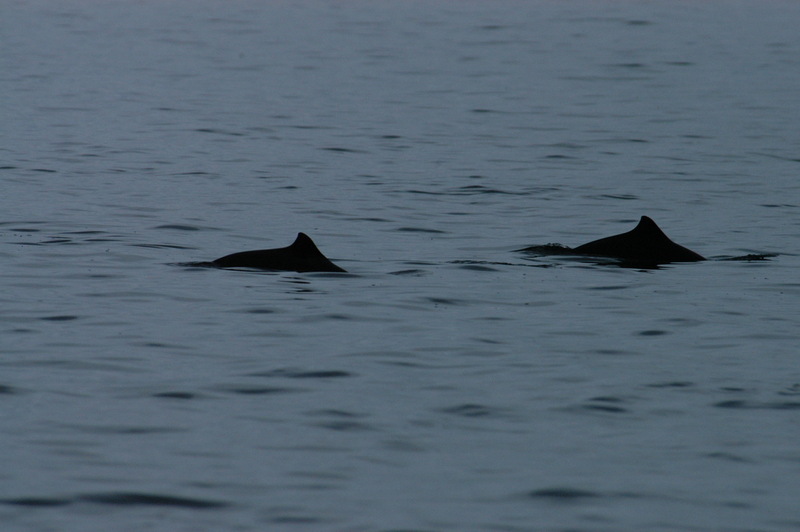 Look for Harbor porpoise and Dall’s porpoise in Saratoga Passage. 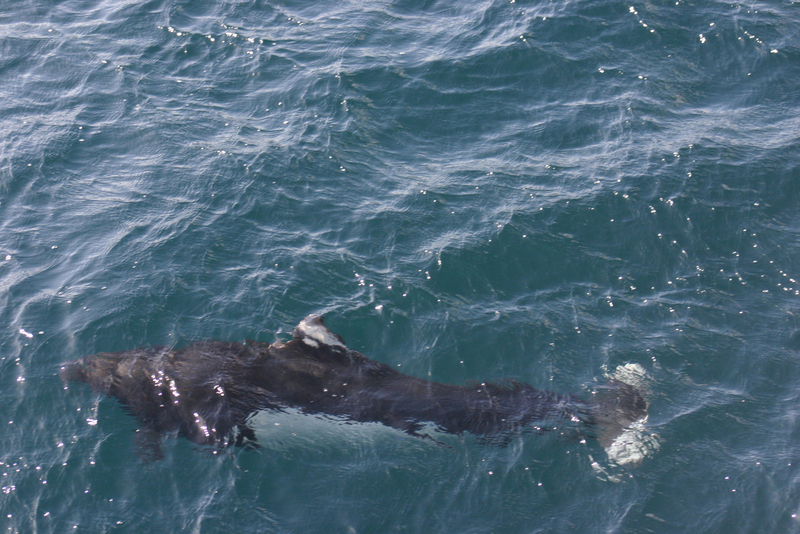 Orcas, too, are occasionally seen in Saratoga Passage. When the whales are near Langley, the whole town knows it! When someone spots a whale, they ring the brass bell at Seawall Park. The beautiful bell was a community project. The bell itself was donated to Langley by Susan Berta of Orca Network. An Eagle Scout, Michael Scullin, worked with sculptor Tim Leonard to design and install the bell frame and nearby signs. Be sure to see the bell when you visit Langley. With luck, it will be ringing! Each spring, the City of Langley co-hosts an event with Orca Network to celebrate the return of the gray whales to Whidbey. 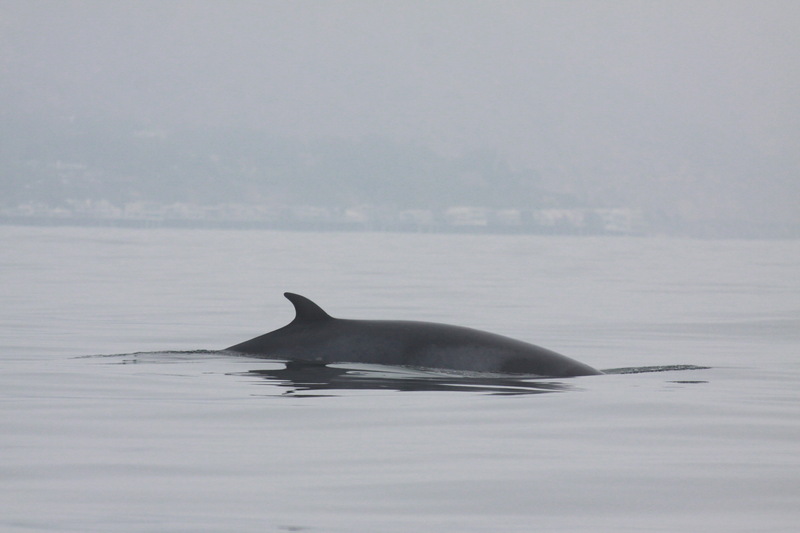 The event features kid’s activities, environmental displays, whale-themed talks, and our favorite, a parade! People come from all over to dress up as their favorite whale or dolphin, and parade through the streets of Langley. The center of the parade is Gary the Gray Whale, a 20-foot fabric gray whale carried aloft by dozens of people, sometimes including the Mayor. The parade ends at Seawall Park, where Gary’s real-life counterparts may be spouting.